Lifelong learning is defined as the ongoing, voluntary and self-motivated pursuit of knowledge. However, over the decades, most school going children are pushed to acquire information because of their parents' relentless preoccupation on academic excellence. The cultivation of interest on subject matters dwindles to almost a non-existence. 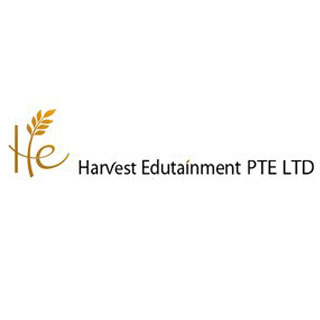 Harvest Edutainment hopes to reignite the love of learning in children and propel them towards becoming independent learners and thinkers through the use of creative teaching resources. Do you remember the story of Cinderella with ease? I am sure most of you do. We believe that when we are interested in or emotionally engaged with, what we learn, we remember better. With that goal in mind, Harvest Edutainment embarks on a journey to present Science to young readers in the form of a story. This has led to the development of a series of educational science comic books parked under the title 'JJ's Science Adventure' with an overarching storyline to string together all the topics under MOE's Primary School Science Syllabus. 'Magnets' is the first book of the JJ's Science Adventure series.So journey on with us as we venture on our quest to make learning fun.